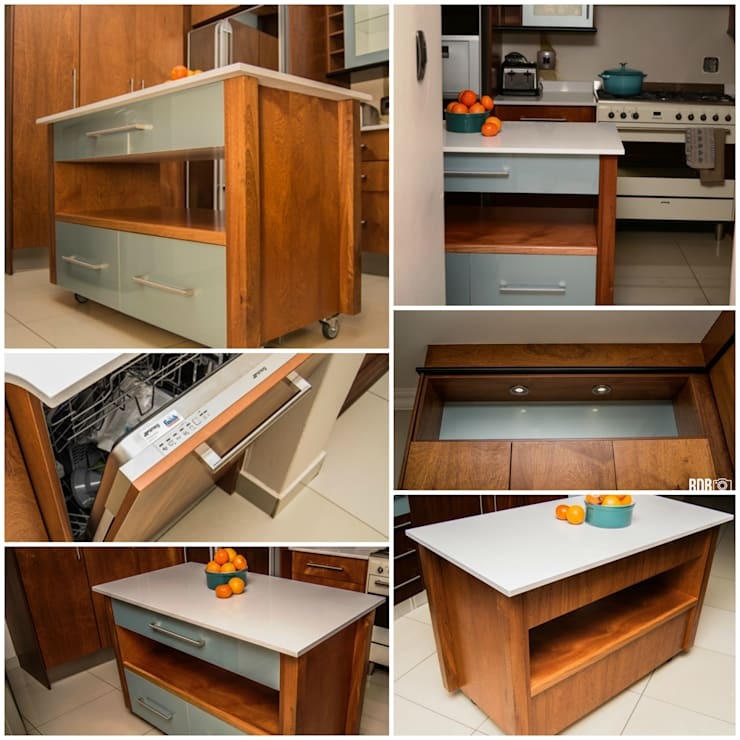 We are always excited to bring you beautiful examples of kitchens from all around the world, but are even more enthusiastic when we can refer to local talent. Showing of the best and brightest of South African design is certainly one of our favourite activities, and today will be no different. 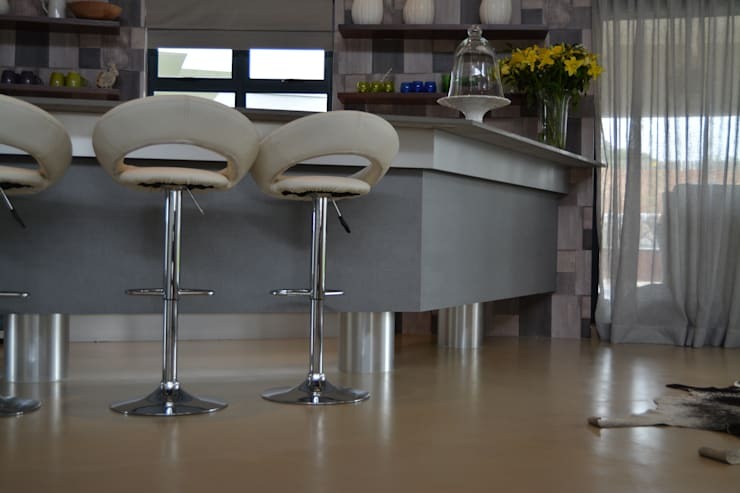 Here we have a list of 5 spectacular kitchens by Ergodesigner Kitchen, a firm of kitchen planners based in Johannesburg. 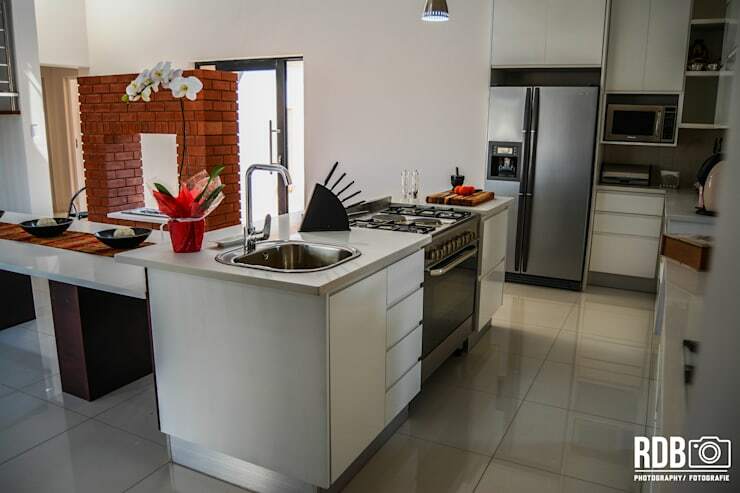 We have no doubt that you'll agree about the supreme aesthetic quality of these rooms, as they are all well-planned and beautifully furnished to ensure 5 kitchen spaces anyone would be more than happy to cook in. 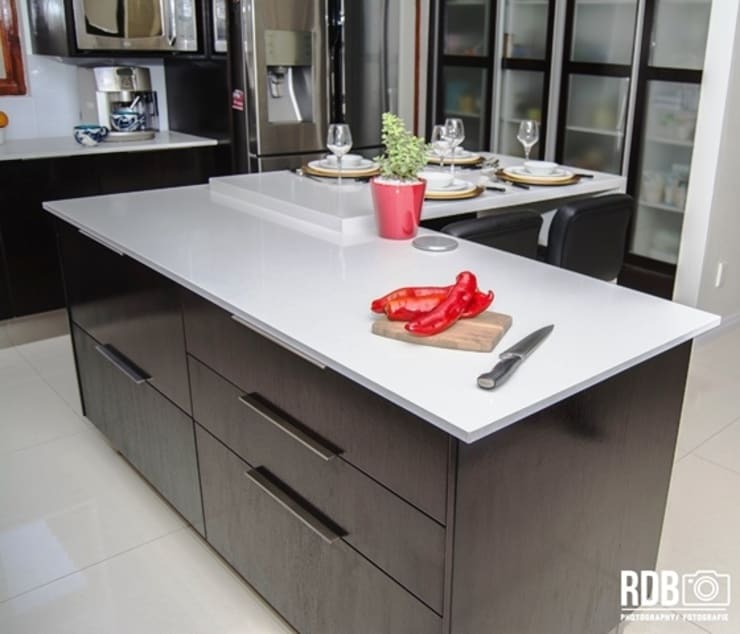 So, take a few minutes out of your day to sit back and enjoy this ideabook that depicts what is necessary to create a stunning kitchen. We are sure you will not be disappointed with what these 5 rooms have to offer. Let's begin! 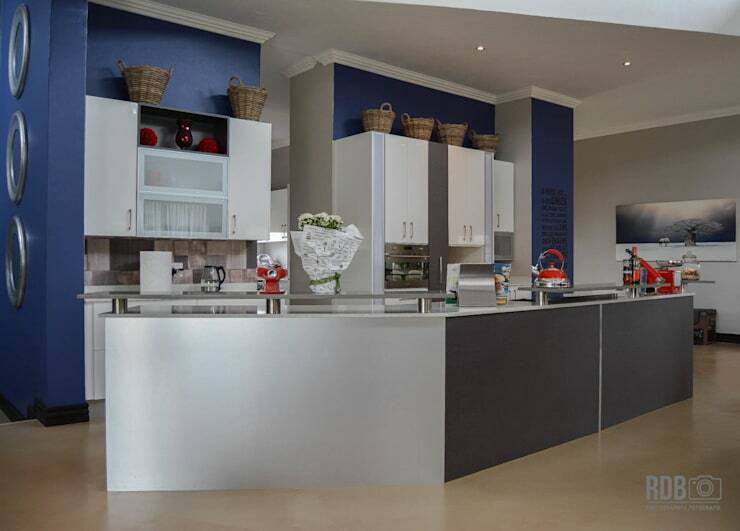 First up, we have this extraordinary modern kitchen that brings in rustic elements. The sleek finishes of the glossy floor tiles and the stainless steel appliances are well-balanced by the red brick feature we can see to the left of the picture. Another side of the kitchen reveals a functional bar area, complete with ultra-practical storage shelf unit for the wine collection and all necessary glasses. Next up, we have an essentially modern kitchen, which also has some rustic country touches to it, and which enlivend by the indigo walls. Zooming in a little in the kitchen, we can see the finer details which reveal a more rustic element, such as seen in the use of reed baskets as decoration and the earth-toned backsplash tiles. Number three on our list shares many features with its predecessor, and we can certainly see that these two projects have a common designer. We can see some strong retro influences here as well. 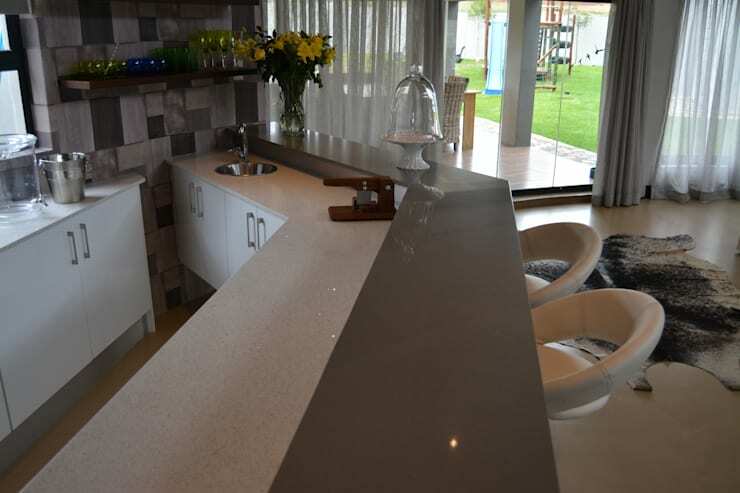 From above this kitchen's counter, we can see the colour-block design which had been used, given the countertop area a very defined appearance. This kitchen consists almost entirely of mahogany features, making it an extremely elegant and warm room. The white and grey features used in conjunction with this noble timber give the whole composition a country feeling. 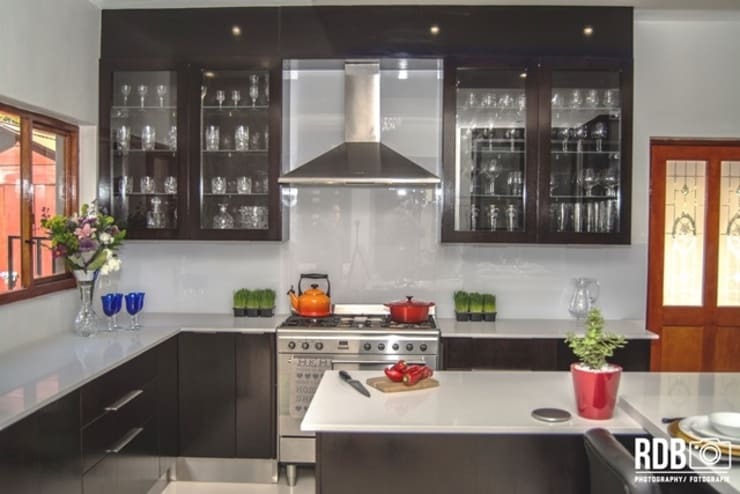 Our last kitchen on the list is a contemporary dream. 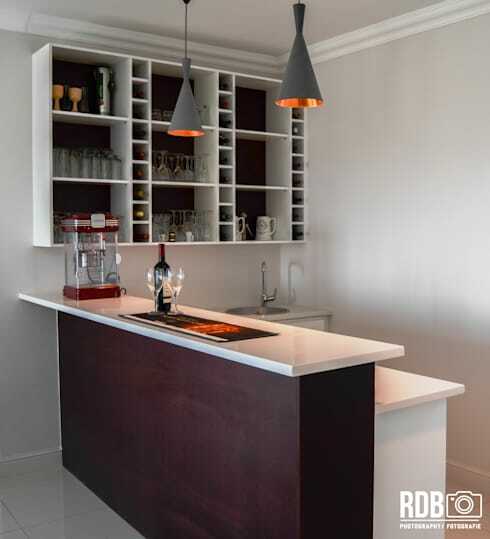 The use of an intense, dark wood for the cabinetry gives the room a very bold look. Here we can see how the white composite countertop beautifully contrasts with the dark wood, making it a dynamic proposal. In the back, we can also see the glass cabinet doors had been frosted, lending to the room an atmosphere of sophistication. These 5 kitchen ideas sure have us inspired, and we are certain the: Concepts will be easy to copy in your own kitchen. Which of these five kitchens did you like the most?